Did you know that unexpected medical bills are one of the most common reasons for filing for bankruptcy? You might think that the party who caused your accident is legally on the hook for paying your medical bills. But it’s an unfortunate fact that accident victims are responsible for paying their own medical expenses as they are incurred. Assuming that the accident wasn’t your fault, you could then submit a claim to be reimbursed by the at-fault party’s insurance company. However, bear in mind that the insurance company won’t directly pay your doctors. You’ll still be responsible for making the payment after each appointment, treatment, or surgery. Furthermore, you’ll need to reach “maximum medical improvement” before you can submit the final claim to the insurance company in order to be reimbursed for your medical expenses. And in some cases, this could take months, if not longer. Payment for your post-accident medical expenses can also depend on whether you live in a no-fault or a non-no-fault state. If you live in a no-fault state, this means that your own auto insurance company may pay some or all of your medical expenses. However, there may be a monetary limit. If you exceed that limit, you’re responsible for paying the balance. If you live in a non-no-fault state, you’re on the hook for paying your own medical bills. If you have “med pay” coverage, then some or all may still be covered, but you’ll have to pay the balance after the bills exceed a certain threshold. If you were injured in an accident that didn’t involve motor vehicles, such as a slip and fall accident on someone else’s property, then you’re responsible for your own medical bills—unless the property owner has med pay coverage. If so, then your medical expenses may be covered up to a certain amount. You shouldn’t have to pay for medical expenses that resulted from someone else’s negligence or reckless actions. If you file a personal injury lawsuit, you could recover compensation that will cover all of your losses—including medical bills, property damage, lost wages, and loss of earning capacity. The only problem is that it can take months or years for a lawsuit to resolve, and in the meantime, if you don’t pay your doctors, your bills will be sent to a collections agency. What can accident victims do in the meantime? There is another solution: Legal funding. 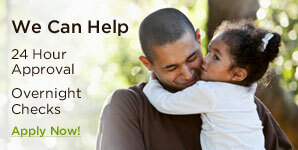 You may be eligible to get a non-recourse cash advance, which you can use for anything you need. Pay your medical bills, buy groceries, or pay the rent… there are no restrictions. A lawsuit loan is made against the promise of a future jury award or settlement. And the best part is that if you lose your case, you’ll owe nothing. There is absolutely zero risk to you. LawStreet Capital invites accident victims to call us today or fill out the quick form online to find out if you’re eligible for a no-risk cash advance. You could have money in your pocket overnight once you’re approved. Don’t let unexpected medical bills force you into bankruptcy. Call LawStreet Capital today at 866-FUND-662.